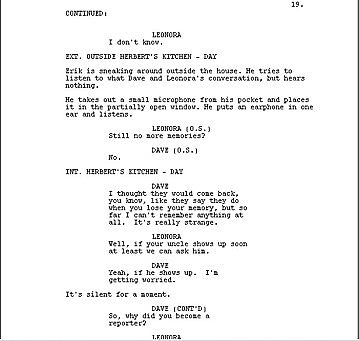 This is an example page from a properly formatted screenplay. Writing a screenplay is different from other types of creative writing. There's a specific format that professionals use to make screenplays consistent and easy to understand. If done correctly, it should look something like the image on the left. There are many elements to a correctly written screenplay, and you can learn about them on Storysense.com. That might seem overwhelming, but it's a lot simpler if you use screenwriting software like Celtx. Celtx is great because it's free (you'll need a free account) and simple to use. 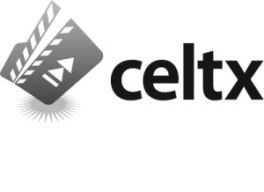 There's also a Celtx app for smartphones, so you can edit your script from anywhere. Feel free to ask questions if you need help with using it.